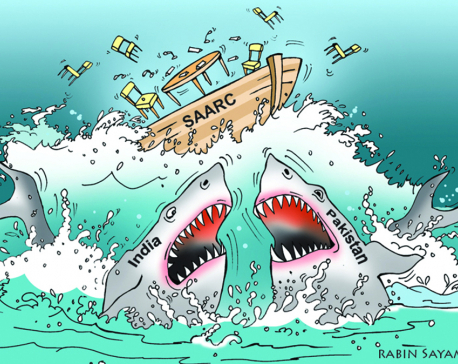 Once again the spotlight, even if by default, is on South Asian Association of Regional Cooperation (SAARC). The ongoing tensions between India and Pakistan in the aftermath of Pulwama terrorist attack are adding more uncertainty and surely more frustrations on those citizens of the region who still hold high hopes in revamping the regional association. It is positive that Foreign Minister Pradeep Kumar Gyawali is pressing ahead and trying to forge a consensus in a diplomatic attempt to move on the process of regional integration forward. After all Nepal is the current Chair of the regional bloc and it is imperative that the country doubles its efforts to reinvigorate the stalled organization even it means working, tactically from outside of it. 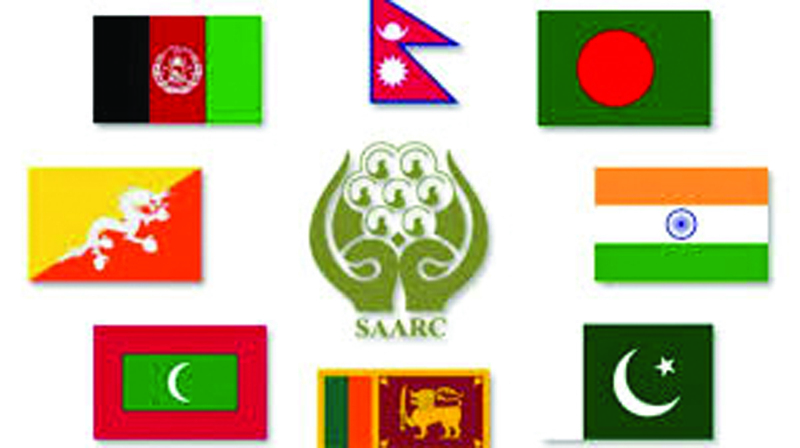 Visit the website of SAARC Secretariat and you can notice that so much is going on there. I believe Nepal should double its long term political investments in the region by resetting its working modalities towards its neighboring countries and toward SAARC institutions. Rather than focusing on big far-fetched intra-governmental initiatives that necessarily require the engagement of India and Pakistan, Nepal should forge an understanding with Bhutan, Sri Lanka, Maldives and Bangladesh to move ahead with smaller pieces of regional cooperation in non-sensitive and, in short term, less strategic areas. Here I am not only referring to the ongoing work at sub-regional levels especially in the field of transportations and energy sharing that, for example, have Nepal, India and Bangladesh working closely. Certainly such kind of cooperation is also important and we have some best practices even within the European Union that prove that certain countries who share a particular history and traditions can work even more closely within the broader framework of the Union. For example you can see the recent signing of a new friendship treaty between France and Germany or the ongoing work of the Visegrád group that brings together Poland, Hungary, Czech Republic and Slovakia. This form of collaboration can work as long as it is aimed at strengthening rather than weakening the larger regional integration project by harnessing complementary and not overlapping ideas. For example if India is pursuing sub-regional partnerships with its neighbors just to avoid or replace the institutional SAARC mechanisms, then a country like Nepal should think twice before investing too much political capital in such initiatives. A country like Nepal should have the strategic interest, while continuing to cooperate on government-to-government basis outside the SAARC, to holistically pursue a comprehensive regional integration process because it offers the best guarantees for a long-term shared prosperity in a common South Asian space where citizens of member countries can proudly affirm their regional identity along with their national passports. 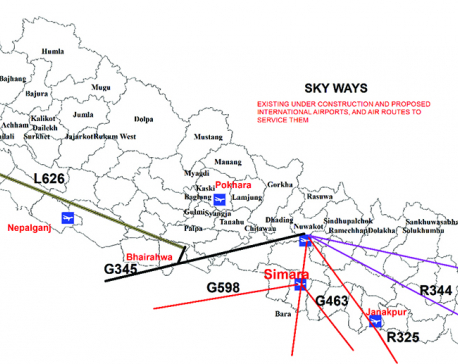 Nepal could start promoting smaller and yet impactful actions that can bring the citizens of the region closer. Even outside SAARC process, Nepal could initiate an exchange program among its youths and their peers within the region. We could call it Nepal-SAARC Youth Exchange program where youth of Nepal would be able to visit a country of the region on short term basis to learn more about the local culture and understand the common history and common destiny that people of the region share. 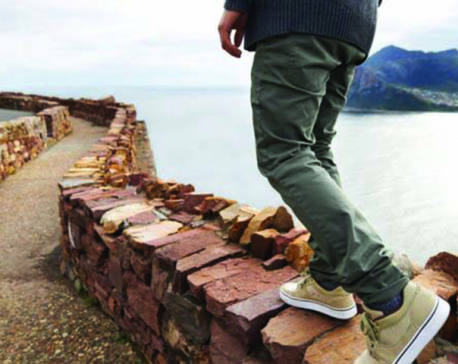 Schools and colleges could also be involved in short-term exchange programs. Many of them already organize study tours on their own. They could receive small grants if, for example, they include, during the visits, activities and discussions related to the region. In short term, instead of aiming to replicate the creation of an Erasmus Program, the famous university level exchange program funded by the European Union, we should aim to look at a simpler and yet meaningful but less ambitious actions like “Connecting Classroom” being promoted by the British Council and DFID around the world, benefiting students and teachers around an innovative and complementary curriculum centered on the students’ learning. Other Track II diplomacy initiatives could be supported, including re-launching the concept of People’s SAARC where members of the civil society and activists come together to discuss and brainstorm about possible regional joint “ventures”. For example, Government of Nepal in partnership with the SAARC Secretariat could summon a regional youth conference to chart out new venues to promote regional identity among youth living in South Asia. One of the outcomes of such initiatives could be the creation of a Youth Advisory Council to the SAARC Secretariat. If the Americans are so smart and wise to engage into innovative public diplomacy, why cannot such creative and fresh ideas be put in place by South Asian youth? There is certainly room also for ambitious programs like a real regional student exchange programs with full credit accreditations named after one giant of South Asian Literature. We could even have a SAARC Corps program where youth of region volunteer in another member nation. With the political will and due resources, many ideas could be implemented to energize and boost the regional integration. To have these initiatives launched and harnessed, we do not need the nod of all heads of governments of SAARC countries. The government of Nepal needs some strategic thinking that involves the civil society, SAARC experts, private sector and, very importantly, the youth. From now onwards, let’s not define it anymore as a regional “bloc” but instead let’s talk of South Asia Community of People, Nations and Goods and Markets. The idea of a stronger and united region should be an inspiration and a dream able to touch and raise people’s emotions. Youth should certainly be the drivers of such journey.